Successfully saved Salmon with Leeks and Cream Sauce to your Calendar. You can also save the ingredients to your Grocery List. Broil some salmon to make our Salmon with Leeks and Cream Sauce. 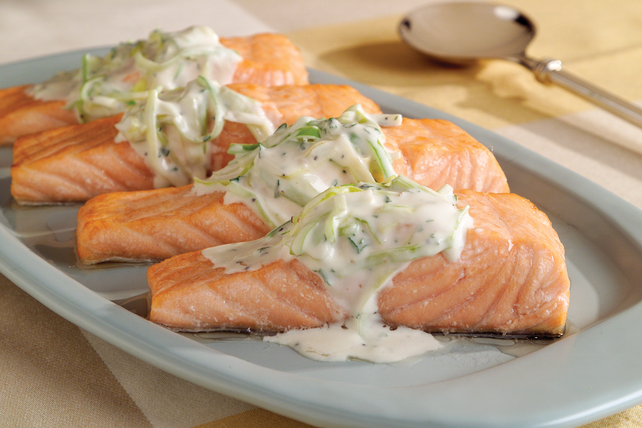 This Salmon with Leeks and Cream Sauce recipe is full of all the delicious flavor you love.